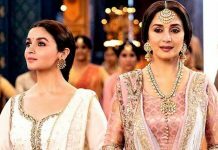 However, during the last few days, while the film did carry buzz around it, the hype hasn't been accentuated to a level where a major opening is assured. Box Office Predictions Of Kedarnath: A love story, disaster genre, real-life incidents, music – all of these are ingredients good enough which indicated that Kedarnath would open well at the Box Office. Moreover, the film has the kind of scale and setting that warrants a big screen viewing as well. The trailer too saw a good response coming its way. Moreover, Sushant Singh Rajput is known for his good act and screen presence. Add to that the much talked about debut of Sara Ali Khan and it seemed that Kedarnath would embark on an opening of around 6-7 crores at least. 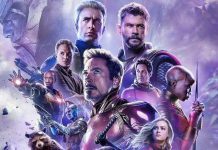 However, during the last few days, while the film did carry buzz around it, the hype hasn’t been accentuated to a level where a major opening is assured. The momentum could have been gained a lot more but then the follow-through in the pitching of the film amongst the audience has been decent, not extraordinary. That would make a difference between whether the film belongs to the kind that turns out to be a winner from the opening day itself or would have to eventually rely on word of mouth and critical acclaim. As of now, it is all boiling down to the latter as one sees an opening in the range of 4-5 crore. That would be a fair start as well for the film as it would at least set a platform for the Abhishek Kapoor directed affair to grow further. Meanwhile, there is going to be competition from 2.0 [Hindi] as well which is set to have a bigger day than Kedarnath even at the start of the second week. This is the reason why the content of Kedarnath would need to be really strong so that it can divert attention from 2.0 [Hindi] which is now a set film already. The good news is that the week after is open and hence if Kedarnath indeed manages to make an impression, it would have time and space available for it to perform well before Zero arrives on 21st December.